Promote the use of secure passwords in your workplace with Valiant's password best practices checklist. The use of secure passwords is a critical component to a business's security and ability to operate. Stolen or weak passwords are the most common reason for data leakage, and close attention should be paid to password security policies and management. 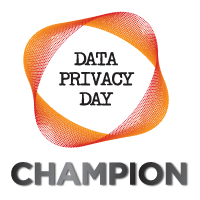 With a set of best practices in place, you can provide stronger protection against unauthorized access. 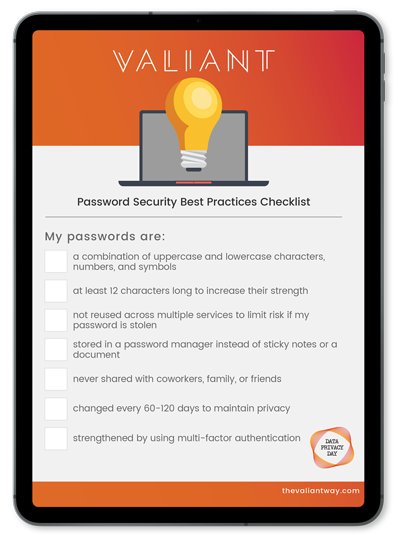 Download Valiant's Password Best Practices Checklist to establish a password policy for your business or simply promote the importance of secure passwords in the workplace by placing the checklist in common areas. Send me the whitepaper and subscribe to Valiant's mailing list. Founded in 2002, Valiant Technology is the go-to-choice for technical support in the creative, real estate, healthcare, and hospitality industries. We are proudly ranked as a top tier Managed Service Provider with offices in Manhattan, Brooklyn, and Los Angeles.